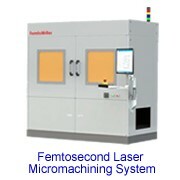 Imported key components used in our lasers result in high stability, good beam quality & low maintenances and low cost man-power results in low prices of our lasers. 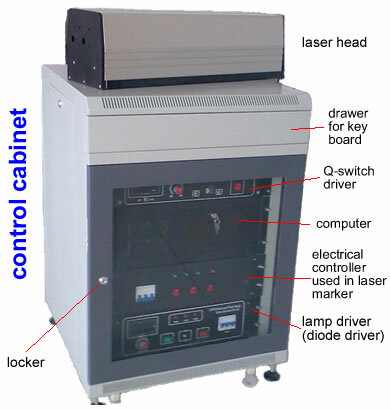 The laser typically consists of a laser head including pump chamber, Nd:YAG rod, lamp and laser resonator and a control cabinet including lamp driver, Q-switch driver (option), control box (option) etc. 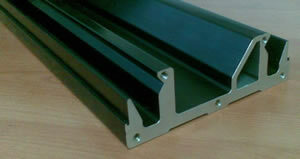 A chiller is another option. 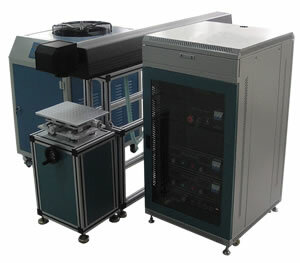 The YAG-CW series of lamp-pumped CW Nd:YAG lasers are suitable for a wide range of precision marking, cutting, trimming, micro-machining, instrumentation and medical applications in the electronics, medical, automotive and fine mechanics markets. 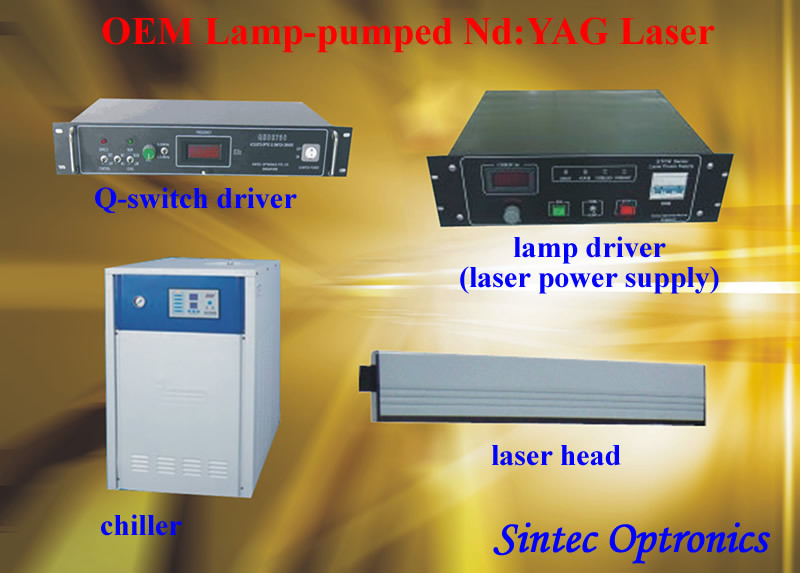 For OEM users or laser integrators, we can provide OEM and system integrators with a range of high performance components and sub-assemblies of Nd:YAG laser at more attractive prices. 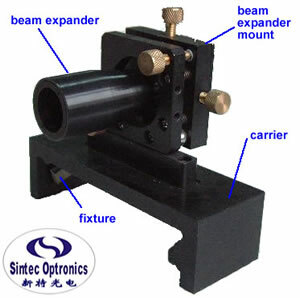 These components and sub-assemblies include laser head (pump chamber with Nd:YAG rod and lamp, laser resonator including rear mirror and output coupler, optional Q-switch cell, optional aperture, optional beam expander), Q-switch driver, lamp driver, chiller. 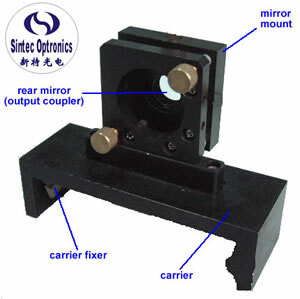 A laser head consists of laser base (optical rail), pump chamber, output coupler and rear mirror, front plate, rear plate, and cover. 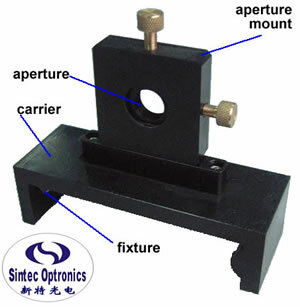 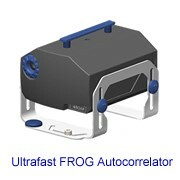 Options include aperture, AO Q-switch cell and beam expander. 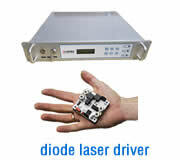 Used to mount key board, Q-switch driver, computer, lamp driver (or diode driver) and electrical controller. 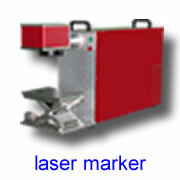 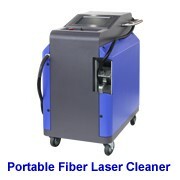 The electrical controller is used in YAG laser markers.